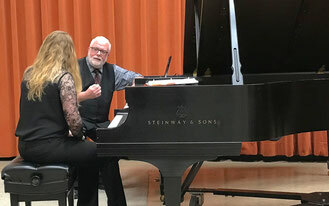 Coaching and Lessons - Ratko Delorko - Pianist, Composer, Educator. Please scroll down for a video sample - Lecture on Piano History at NCKP Conference Lombard Chicago Il. USA Yamaha Remote Lesson at Frankfurt Music Fair. How long distance teaching works. in nearly every country of the world. A high standard digital piano is required. Lesson discount package of 8, 10 and 15 hours available. 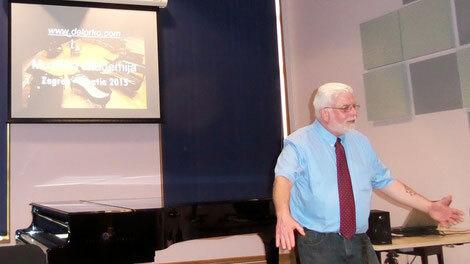 300 years of piano history packed in a 2 hours lecture and presenting news from the past. The evolution of the piano starting with the Stick Zither, Monochord, and Clavichord, to the Verginal, Spinet and Harpsichord. Travel back in time from Cristofori`s op. 1, to the various types of the "Hammerclavier," and to the modern concert grand. What was the technical improvement by Cristofori ? He invented The Hammer Action Pushing Principle. When the first piano recital took place ? Who was the first to play with his profile to the audience ? Who inventend the Double Escapement ? How many pianos Liszt used to destroy in a concert until he got a Boesendorfer ? When was the Overstrung Scale patented ? Why was 1865 Steinway´s sad year ? What is the difference between a Viennese Action and an English Action ? What grand donated Robert Schumann 1853 to his wife Clara ? These and many other questions are answered in this lecture, also showing specific playing characteristics as static and dynamic downweights, key dips, frequency responses of the instruments and their musical influence on composers and piano technique form the beginning until today. A 120 minute Power-Point aided lecture using amazing video and audio examples from original period instruments. Not s much time left for practicing? How does tendonitis happen? How can you prevent it with stretching and warmup exercises? 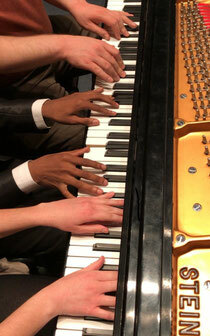 The Basics of Baroque- , Classical – Romantic – Impressionistic and Contemporary Piano Performance. Learn which performance techniques transfer from period instruments to the contemporary piano and which do not. The masterclass may be introduced with a recital by Ratko Delorko. From the next 3-6 days on, up to 10 students will receive one to one lessons every day. All lessons will be public, providing a very special opportunity to learn more about various interpretation and efficient piano technique. The major goal is to find solutions for almost every playing situation. No matter which piece the student may present: Almost any issue will be isolated and practically solved. At the end of the masterclass all students will do a common recital. On one day of the masterclass Ratko Delorko will do a lecture on the history of the piano and an additional topic on request.